The completely wild and uniquely pre-historic Pinckney Island National Wildlife Refuge is a fascinating natural adventure for cyclists, hikers, nature photographers, and anyone who wants to discover the untamed aspects of this otherwise well-developed region of coastal South Carolina. Encompassing more than 4,000 acres, and serving as a natural oasis in between the busier destinations of Beaufort and Hilton Head, Pinckney Island National Wildlife Refuge is sure to both fascinate and enthrall visitors with its miles of open water views and vast expanses of native landscapes in every direction. 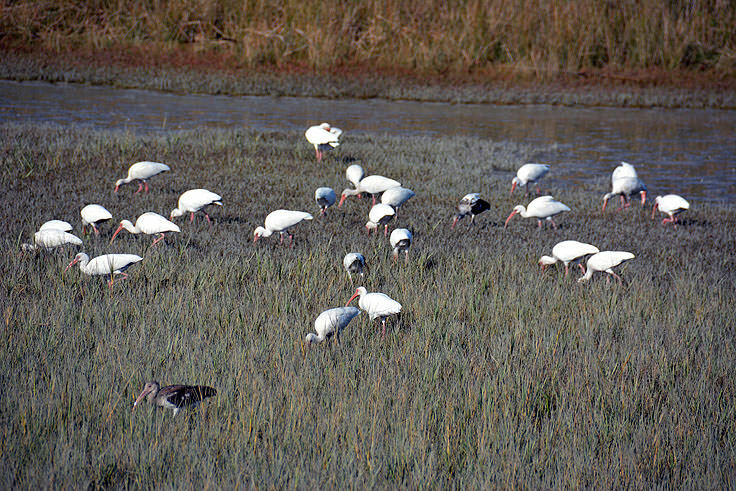 The Pinckney Island National Wildlife Refuge is one of seven national refuges which are overseen by the Savannah Coastal Refuges Complex in Savannah, Georgia. 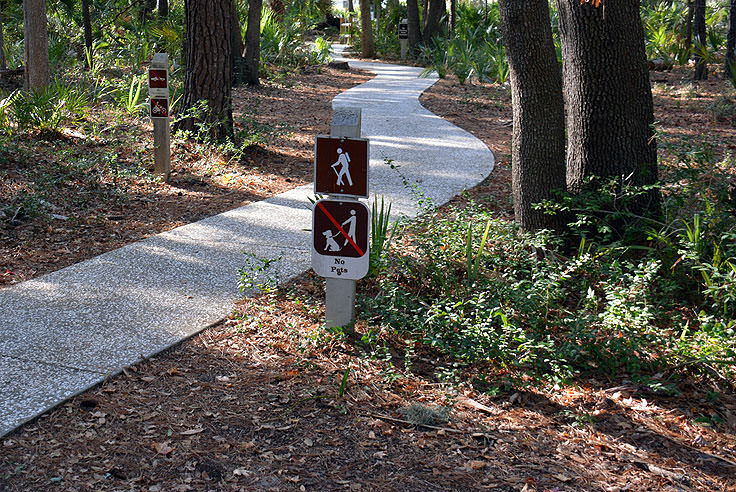 Located just .5 miles west of Hilton Head Island off of US Highway 278, (and a few miles away from the city of Beaufort), the refuge is a refreshing slice of uninhabited terrain in a generally populated coastal vacation destination. As the name would suggest, Pinckney Island National Wildlife Refuge is its own "island," and borders the Colleton River and the Port Royal Sound, which are sprinkled with small patches of wild marshes. The wildlife refuge, unlike other federally preserved parcels of land, actually has a rich history of being a human habitat, and at least 115 prehistoric and historic sites have been identified within the island. Detailed research into the prehistoric sites indicate a long human occupation of Pinckney Island, dating all the way back to the Archaic Period, (8000-1000 BC), and suggesting heavy use during the Mississippian Period, (1000-1500 AD), when the region was solely inhabited by local Native Americans. When the Europeans arrived, Pinckney Island was a temporary home for French and Spanish explorers, and later, became a permanent settlement for Alexander Mackay, an Indian trader, who obtained title to the 200 acres of the property in 1708. Just seven years later, Mackay has acquired the rest of the land, as well as the small outlying islands that comprise the present day refuge. When Mackay passed away in 1726, his wife sold the land in its entirety to the refuge's namesake, Charles Pinckney. Charles Pinckney was the father of the famed General Charles Cotesworth Pinckney, who was a commander during the Revolutionary War, a signer of the original US Constitution, and a candidate for president of the United States in the years 1804 and 1808. After General Pinckney inherited the island, he moved to the Lowcountry region in 1804, transforming the wild terrain into a fully functioning plantation. During this renovation, much of the original forest was removed to make way for draining and tilling the soft soil, and more than 200 slaves were brought in to start the work of producing Sea Island cotton. By 1940, more than 380 slaves worked on the property, and the plantation was a resounding success for its owner. When the Civil War arrived, so did the Union Troops, and Pinckney Island was home to several skirmishes during the first couple years of the war. In addition, many new black soldiers were recruited for the Union Army from the former plantation, and five military headstones of these African American soldiers remain on the northwest side of Pinckney Island today. 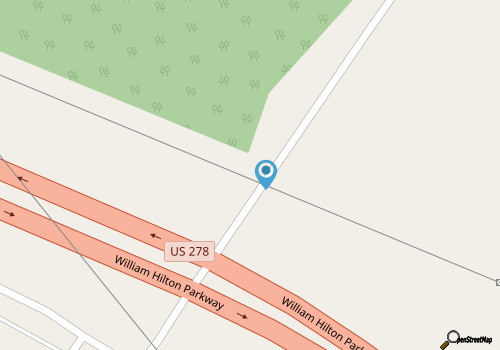 The plantation fell into ruin after the war, and after more than 200 years of Pinckney ownership, the property was sold to Ellen Bruce, the wife of a NY banker, in 1937. Used as a hunting preserve, the Bruces planted hardwood trees and built ponds to attract the abundant regional waterfowl. The property was sold in 1954 to Edward Starr and James Madison Barker, who continued to use the area as a hunting preserve, until 1975 when they generously donated the property to the United States Fish and Wildlife Service to be used exclusively as a National Wildlife Refuge in the years to come. Today, the 4,053 acre wildlife refuge contains the main Pinckney Island, in addition to a series of smaller islands, including Corn Island, Big Harry and Little Harry Islands, and the renowned Buzzard Island. While the primary portions of Pinckney Island are dense and wooded, an estimated 67% of the national wildlife refuge is water, with scores of salt marshes and tidal creeks bordering and cutting through the big isle in every direction. There are also freshwater ponds located within the island's interior, an addition that dates back to the Bruces, and as such, the island is home to thousands of waterfowl, shorebirds, and wading birds, in addition to the woodland song birds which make appearances in the spring and fall seasons. White ibis, herons, and egrets are all commonly spotted, as are Bald Eagles, storks, white-tailed deer, and even alligators. In fact, it's not unusual for visitors to spot an alligator or two peeking out along the edge of the small, main road that runs through the length of the refuge. Because of this, visitors are welcome to explore, but are advised to use caution and pay attention to the possibility of gator and snake sightings throughout the refuge. Freshwater fishing is not allowed within the refuge, however saltwater fishing in the marshes and waters bordering to the refuge is allowed. A public boat ramp is located off of US Highway 278 close to the refuge entrance, and hunting is also allowed, during a one-day quota hunt to ensure that population numbers remain in check with what the surrounding habitat can accommodate. There are no fees to visit the refuge, and visitors are encouraged to make a trip in the spring and fall months, when the weather is noticeably cooler, the mosquito population is low, and the bird watching on the island is at its best. Visitors are free to explore the wooded regions, the "inland" ponds, and the borders of the salt marshes in order to ensure the best chances of spotting some of these revered feathered species. 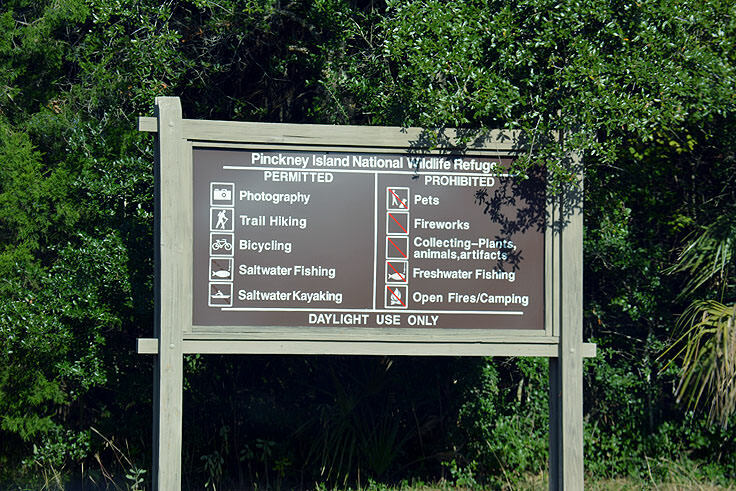 Instinctively wild, the Pinckney Island National Wildlife Refuge is a remarkable day trip for nature enthusiasts who want to explore the parcels of Lowcountry terrain located well off the beaten path. Undeveloped and subdued, the refuge features no Visitors' Center or amenities, but does host more than 4,000 acres of deceivingly wild terrain that, ironically until modern times, was a well-inhabited human home for centuries. Load up on bug spray in the summer, and bring a sense of adventure to discover this "blast from the past" destination that uniquely fit rights in with the coastal South Carolina scene.